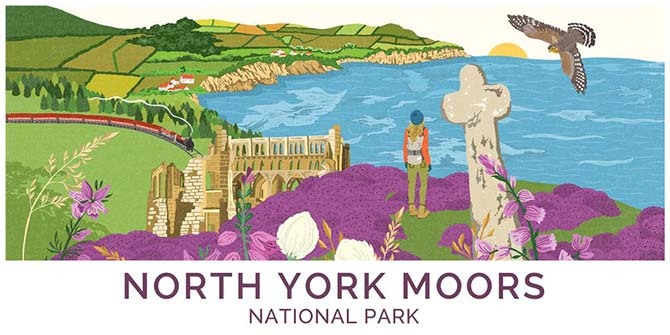 Excitingly, you can now buy a whole range of products featuring illustrations of Britain’s beautiful national parks, which I worked on with Love Your National Parks back in 2016! 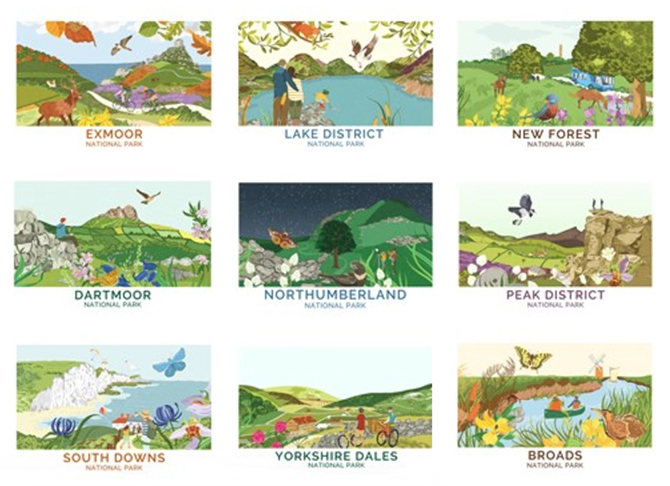 The range features poster images of the Broads, Dartmoor, Exmoor, Lake District, New Forest, North York Moors, Northumberland, Peak District, South Downs and Yorkshire Dales. Treat yourself to a new mug, set of postcards or laptop case (among other things) here. Working on these images really made me want to abandon my desk and put my walking shoes on to visit each and every one of these stunning locations! I have since made it to Dartmoor to troop around some stone ruins.